YORK, England (CNS) – A London council has become the first local authority in the UK to approve a buffer zone around an abortion clinic. Members of Ealing Council, in the west of the capital, voted to establish a public space protection order, which would ban public prayer and offers of assistance to women within 100 meters of a clinic run by Marie Stopes UK. The decision means Britain will become the second Western democracy to ban pro-life activities in the vicinity of abortion clinics. It follows Canada, where in February 50-meter exclusion zones were enforced around eight Ontario facilities. Marie Stopes UK sought the ruling because it claimed that members of the Good Counsel Network, a largely Catholic group, were harassing its clients, a charge the pavement counselors have strongly denied. “We are incredibly grateful to Ealing Council for recognizing the emotional distress that these groups create, and for taking proportionate action to protect the privacy and dignity of women accessing our clinic in the borough,” he said in a statement published on the charity’s website April 11. “This was never about protest – it was about small groups of strangers choosing to gather by our entrance gates where they could harass and intimidate women and try to prevent them from accessing health care to which they are legally entitled,” he said. “Ealing Council has sent a clear message that this kind of behavior should not be tolerated, and that these groups have no justification for trying to involve themselves in one of the most personal decisions a woman can make for herself,” he continued. 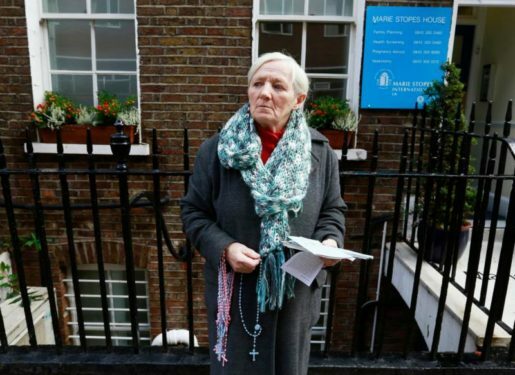 “I am dismayed, but not surprised, by Ealing Council’s decision to ban offers of help outside the abortion center here,” she said. Clare McCullough of Good Counsel said more than 1,000 women in the past six years have changed their minds and decided to keep their babies after they were approached by counselors praying outside the clinic.